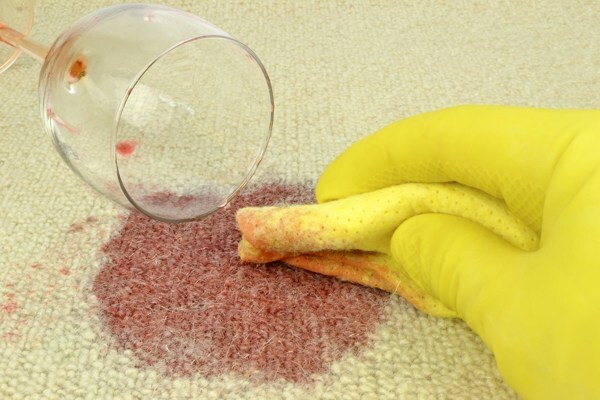 Four sure-fire ways to get that pesky wine stain out of your carpet! As soon as possible, get yourself a paper towel and blot up that stain – timing is everything here so make sure you act fast; the longer the wine sits in your carpet the more likely it is to sink into the threads and make a stain. Make sure you ‘blot’ using an up and down motion, never side to side – this will only spread the stain and make it bigger. Blot from the outside edge to the inside to ensure the stain stays the same size and doesn’t spread any further out. Apply some cold water and keep on blotting - repeat this process until you see that no more of the wine is disappearing. Then add the final bit of cold water and blot until the carpet is dry. Put a little water on the stain to make sure its damp, and then pour a generous amount of salt over it. The salt works by drawing moisture out of the carpet, drawing out water and also the wine – genius! Leave the salt on as long as possible – overnight if you can – as the longer the treatment the more time the salt has to absorb the wine. After all, longer treatments aren’t going to make things any worse, so you have nothing to lose! The salt should turn pinkish when left for long enough – this is the wine being absorbed. Scoop up the excess salt with a spoon and finally vacuum the carpet to return it to its natural texture and stainless state! If it’s still a little sticky afterwards, feel free to dab with a wet cloth, blot dry, and then vacuum again. In a large bowl, mix 1 tablespoon of dishwashing liquid, 1 tablespoon of white vinegar, and 2 cups of warm water. Then stir up well to combine the three ingredients. It must be white vinegar! Any other type may just add to the stain – not what you want. 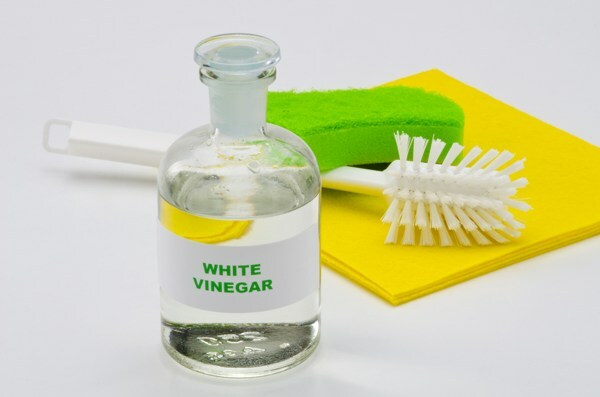 Use a clean rag/paper towel to dip into the vinegar solution, then dab at the stain. The mixture will seep into the fibres of the carpet, loosening the stain. Then get a clean, dry rag/paper towel and dry up the mixture. Alternate between cleaning with the solution and drying up. Finally, soak a third rag in water and dab the stain until it completely disappears. If you’re lucky enough to have some Hydrogen Peroxide to hand, this method is normally most effective. Please note that it is a bleaching agent, therefore only suitable for light coloured carpets. Add a squirt of soap to some hydrogen peroxide in a bowl and mix well. Using a clean rag, blot the stain to ensure the mixture seeps deep into the carpet, and let it sit for a few minutes. Fill a spray bottle with cold water and soap, then shake it to combine. Spray this soapy water mixture onto the stain. If you don’t have a spray bottle, then make the soapy water mixture and dab on with a towel. Blot the stain dry with a dry rag/towel and the stain should have disappeared. You will however be left with a sticky soapy residue on your carpet; get rid of this by blotting with a fresh, wet towel, and leave to dry. Pour white wine over the stain (or clear vodka if you’re a strictly red only drinker). This clear liquid will oppose the effects of the deep red stain, much lessening its effects. Blot the stain with a dry sponge very lightly, in order to get out some of the moisture. If you do this lightly enough it will ensure that you don’t press the wine stain further into the carpet fibres. Mix baking soda and water (3 parts water, one park baking soda should work well) to make a paste, and pour a generous amount over the stain. This works in a similar way to salt, drawing out the moisture and red wine from the carpet. Cover the stain with a clean cloth and place a weight over in, e.g a large book, and leave overnight. This presses the baking soda paste into the carpet, allowing it to clean more deeply. Vacuum up the lumps of baking soda (and wine it has drawn out) and voila – clean carpet!